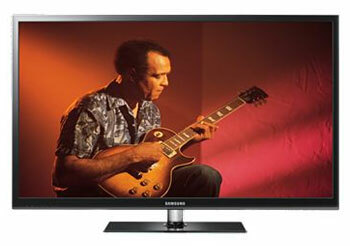 Samsung continues to offer quality, entry level plasma telvisions in 2011. Don't let the 720p resolution of the D490 turn you away, this is an entry level 3D TV that offers many of the bells and whistles of higher priced Televisions at a lower price. The vast majority of TV programming is still in 720p as are most video games. The panel in all 2011 Samsung plasmas is 1" larger than last year and they also slimmed up the bezel so you get more screen in the same size TV. Samsung calls this "+1". For 3D the PN51D490 uses active shutter glasses and is HD 3D, sending 720 lines of vertical resolution to each eye. Some televisions sacrifice some resolution to show 3D images but the D490 series plasmas do not. With it's active 3D panel the D490 is showing higher resolution to each eye than a 1080p active TV which cuts the 1080 lines of resolution to 540 for each eye while the D490 is showing 720p to each. Samsung +1 plasmas have 1" more screen in the same size enclosure. Review Equipment Used: Sony Blu Ray BDP-S1 High Definition DVD player, Sony DVP-S50 DVD player, Sencore Color Pro 5000, Sencore Auto Cal Pro, Sencore signal generator.